I’ve Been Featured in a Craftstar Collection! One of my items from my Craftstar shop has been featured in a collection on the site! My Red Mother of Pearl Hair Pins were featured along with all these other Valentine-friendly handmade items! Check it out! While you’re on the site, be sure to stop by my Craftstar Shop: Christina Designs Art. My coupon code for Free Shipping on all items is still active, enter NEWYEAR2013 in the coupon code box to receive free shipping with your order! 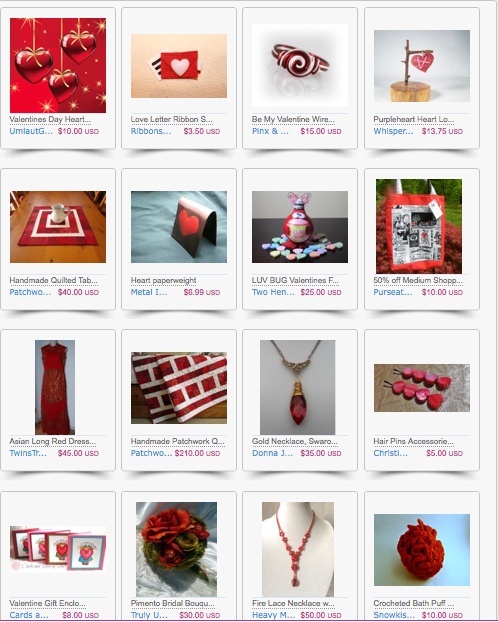 This entry was posted in Shop and tagged amanda rose soaps, christina designs art, craftstar, craftstar collection, hair pin accessories, handmade hair accessories, love, roses are red, valentine, valentines day on February 3, 2014 by christinapertz1.